The beleaguered governor spoke to the press as new questions swirled concerning the involvement of Cook County Circuit Clerk Dorothy Brown and her husband, Benton Cook III. At the time NRI was in full operation, Cook was a supervisory employee of the Chicago Area Project, a nonprofit social-work organization active in Chicago’s troubled West Garfield Park neighborhood. The Quinn administration awarded a $2.1 million grant to the Chicago Area Project for anti-violence street work, and Cook supervised the utilization of the grant. The Chicago Sun-Times reported in March that Brown’s husband was paid more than $146,401 in salary and benefits over a two-year period from NRI grant funds. This week, the Sun-Times revealed that Clerk Brown voted by proxy to channel $5 million to the Chicago Area Project to help continue funding Gov. Quinn’s now-disbanded Neighborhood Recovery Initiative. Legislative Audit Commission to further investigate Quinn’s NRI program. 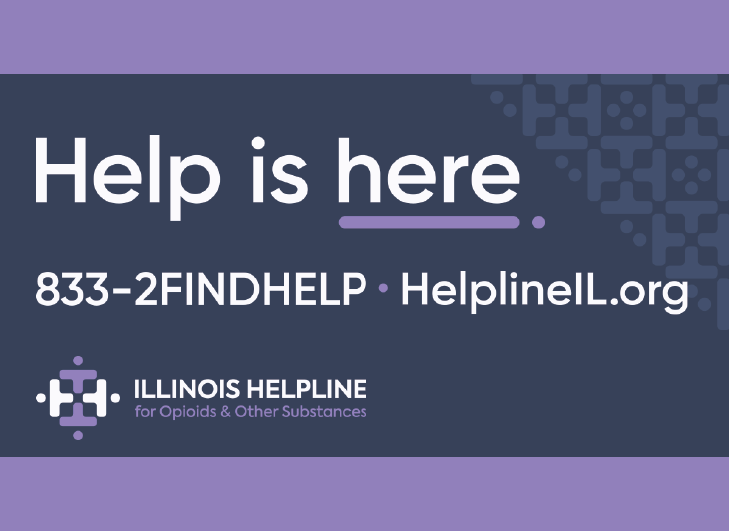 The Illinois Legislative Audit Commission has joined the list of federal and county authorities investigating Governor Quinn’s Neighborhood Recovery Initiative (NRI) program. State Rep. David Reis, a member of the Legislative Audit Commission, voted in favor of issuing subpoenas for records and key witnesses related to the $55 million NRI program. The Commission’s subpoena authority into the NRI program is separate from any criminal investigations currently being conducted by federal prosecutors and the Cook County State’s Attorney’s office. Democrats joined in the 10-1 bipartisan vote to take up subpoena powers. Read more about this development. House Republicans ask State to keep its word, pay old bills. With an ongoing backlog of unpaid bills estimated to exceed $5.5 billion, Illinois’ credit rating and reputation as a partner in Illinois business enterprise and health care is in danger. The General Assembly enacted a budget in spring 2013, for FY14 (beginning July 1, 2013 and ending June 30, 2014), of $35.45 billion. This budget figure matched the revenues that the State expected at the time to take in from taxes and other general-revenue sources during this twelve-month period. Due to the hard work of many Illinois residents, revenues have come in at a level that significantly exceeds the revenues projected a year ago. With more than ten months of the twelve-month fiscal year completed, the nonpartisan Commission on Government Forecasting and Accountability (CGFA) currently estimates that $36.66 billion is scheduled to come in during FY14. HR 1078 (Harris) renews the State’s pledge to use any surplus monies to pay down old bills. The current CGFA estimate projects that the State will enjoy a surplus in FY14 of as much as $1.21 billion. This sum will obviously not pay off all of these old, past-due bills, but could reduce the backlog by as much as 20 percent and signal that the State continues to feel its way back towards a position of fiscal responsibility. Commission on Budget Forecasting and Accountability tracks April cash flow. In its monthly budget briefing, CGFA reported a slight uptick in year-to-date receipts by Illinois residents and taxpayers to the State. Monies paid in the form of “general funds revenues” – primarily income and sales taxes, but also including smaller line-items such as death taxes, utility taxes, cigarette taxes and proceeds from lottery drawings and casino riverboats – are available to meet the State’s operating (not capital) expenses and possibly pay down some of the more than $5.5 billion in unpaid bills. After counting the fund inflow, CGFA revised its FY14 general funds revenue estimate from $36.073 billion, the previous estimate, to $36.661 billion. This marked an upwards adjustment of $588 million from the previous estimate, signaling the possible existence of additional funds to chip away at the State’s multi-billion-dollar backlog of old bills. Final disposition of this surplus will await decision by the General Assembly prior to their scheduled adjournment on May 31. Illinois gets another dismal ranking from key grading entity. Chief Executive Magazine issues an annual summary of the relative standing of the 50 U.S. states as places to create jobs and do business. Based on surveys distributed to chief executives and highest-level private-sector managers, the summary reflects actual attitudes among the managers that make job creation/job termination decisions. In rankings published on Thursday, May 8, Chief Executive ranked Illinois 48th among the 50 states. Only two states, New York and California, ranked lower than Illinois. States with large cities were not necessarily barred from high rankings. States #1 and #2 were Texas and Florida, respectively. States that neighbor Illinois, but enjoyed much higher ranking in this year’s matchup, included Indiana (#6), Wisconsin (#14), Iowa (#19), and Missouri (#22). Illinois’ #48 ranking for May 2014 marked no change from its May 2013 rating. Concealed carry license activations approach 50,000. New figures released on Tuesday, May 6 show that 66,501 applicants have submitted paid-up applications to the Illinois State Police for licensure to carry a concealed firearm. Of this number more than 65%, 44,672 license holders, have received their licenses. 51% of the license holders, 22,849, live in the six populous counties of greater Chicago. Almost 22,000 license holders live in the 96 Downstate counties. Almost 22,000 additional applications are moving through a pipeline that will, in the vast majority of cases, lead to licensure. The names of applicants are submitted to an applicant’s local police force for possible further scrutiny. The State Police also examine the qualifications of the trainer who provides the face-to-face training required as a component of the concealed carry application. A substantial number of Illinois residents are active gun owners. The State Police reports that there are 1,727,869 Firearm Owner Identification (FOID) Card holders. Children’s neurology bill advances through House committee. SB 2636 expands the list of conditions that render a patient eligible to apply for a medical cannabis card. Under this bill, the list would also include patients under age 18 with certain neurological conditions. As amended, the eligibility language of this bill is intended to include juveniles with epilepsy. The bill was approved by the House Human Services Committee on Wednesday, May 7. Under the Compassionate Use of Medical Cannabis Pilot Program Act, enacted in spring 2013 but not yet implemented by administrative rule, the physicians with treatment status over certain eligible patients with defined medical conditions will be able to recommend these patients for a medical cannabis card. This bill specifically affects pediatricians and their patients under age 18. Under SB 2636, juvenile cardholders will be given access to a limited number of dispensaries from which they will be allowed to purchase closely controlled quantities of cannabis-infused products (not cannabis itself) intended for the treatment of their medical condition. Quinn administration and legislative Democrats water down SMART Act reforms. Accusing the Democrats of a comprehensive rollback of most of the hard-won Medicaid reform achievements of 2011 and 2012 (much of which were contained in “SMART Act” bill package), Rep. Patti Bellock and Sen. Dale Righter called on Thursday, May 8 for a moratorium on Medicaid expansions. The Medicaid reform work of 2011-12 was an essential element in Illinois’ fight to regain fiscal responsibility. A key element of Medicaid reform is “redetermination,” the process of scrutinizing existing Medicaid beneficiaries to determine if they continue to be eligible to shift their medical costs to taxpayers. If this redetermination is not done, everyone who ever gets onto Medicaid has a significant financial incentive to stay there; but the Quinn administration and legislative Democrats halted redetermination in fall 2013 and have not effectively resumed it. “Glitch” in higher education pension law fixed by administrative action. As SB 1, the December 2013 pension reform overhaul, affects Illinois public higher education, many employees enrolled in the State Universities Retirement System (SURS) have studied the new law carefully. In recent weeks many employees have been told that a ‘glitch’ in the new law could lead to long-term fiscal consequences for employees who do not take early retirement prior to its implementation date (July 1, 2014). After studying the text of the new law, legal staff affiliated with SURS has advised its executive director that the system is authorized to interpret the law so as to circumvent the glitch. A change in SURS’s administrative rules, adopted by the system’s board on Thursday, May 8, will prevent State higher education employees enrolled in the program from having to take early retirement to protect their remaining vested pension rights. Representative Chad Hays has also introduced HB 6225 to fix the SURS pension wording problem. The bill awaits assignment in the House Rules Committee. $112 million owed to State workers. The unmet commitment stems from a wage contract negotiated by Gov. Quinn and the chief labor organizations representing State workers prior to the November 2010 gubernatorial election. Money to cover the pay raises included in the contract was not appropriated by the Illinois General Assembly and the contractual terms were not actually met. Litigation to recover the lost wages is ongoing, with Attorney General Lisa Madigan upholding the position of the State to unilaterally delay implementation of the contract. In the interim, House and Senate Republicans with constituents affected by this non-payment are pressing for payment. The $112 million at issue could become an additional claim upon the FY14 State budget surplus projected by the nonpartisan Commission on Budget Forecasting and Accountability. Rep. Davidsmeyer is chief sponsor of HB 5451, which would add supplemental appropriations to the Department of Human Services, the Department of Public Health, the Department of Corrections, the Department of Juvenile Justice, and the Department of Natural Resources to pay back wages owed to employees in these agencies. FY15 budget picture indicates income tax hike could come before end of May. FY15 general funds revenues were estimated earlier this spring by the Illinois General Assembly to total $34.495 billion. Governor Quinn and Democrat leaders want to make the 2011 “temporary” tax hike permanent, raising FY15 revenues to $38.575 billion, an all-time record. Rumblings intensified this week that Democrat leaders in both chambers are lining up the votes necessary to extend the 2011 income tax increase. The controversial “temporary” 67% income tax increase raised Illinois individual income tax rates from 3.0% to 5.0%, with a scheduled phase down starting January 1, 2015. In calendar year 2015, Illinois taxpayers have been promised that they would be able to pay income taxes at a rate of 3.75%. While Democrats hold majorities of both houses of the Illinois General Assembly, the House Republican caucus continues to oppose extension of the “temporary” tax hike, or making the unpopular move permanent. House Republican Leader Jim Durkin is working with his colleagues to take the lead against this multi-billion-dollar tax hike move. 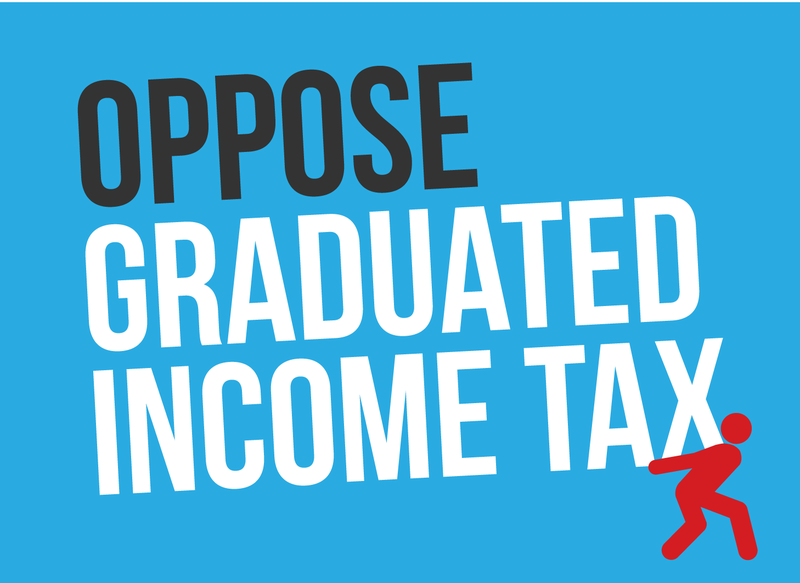 Illinois taxpayers who oppose this tax hike are invited to sign a petition which will be presented to the Governor and the General Assembly to make our lawmakers keep the promise they made in January 2011. New Illiana interstate compact means that construction of highway could lead to delayed road projects, unsafe bridges. The Illiana Corridor, a proposed superhighway between Indiana’s Interstate 65 and Illinois’ Interstate 55, is projected to be built through southern Will County by a private-public partnership agreement between the Illinois Department of Transportation (IDOT), the Indiana highway department, and a private partner to be selected by the two state highway agencies as a lead entity to supervise the construction and operation of the corridor as a toll highway. The cooperation between Illinois and Indiana adds to momentum behind the project but has also compelled disclosure of some of the underlying financial assumptions that will be used to construct the highway. When terms of the bi-state intergovernmental agreement between Illinois and Indiana were released on Tuesday, May 6, concerned observers pointed out at once that the agreement – if implemented – would turn Illinois motorists and taxpayers into substantial investors in a highway project that they would not control or be allowed to drive on for free. Terms of the agreement include a pledge by IDOT that Illinois would invest at least $250 million in capital to help construct the $1 billion highway project; most of the highway’s 47 projected miles will pass through Illinois. In addition, the Illiana Corridor is scheduled to be operated as a for-profit toll road for lengthy period into the future – even though drafters of the bi-state agreement are not sure that car and truck traffic on the highway will pay sufficient tolls to enable the highway’s private partner to cover its financing costs, cover the costs of operating and maintaining the highway, and turning a profit. As no potential private partner are expected to submit bids to Illinois/Indiana that include acceptance of a subordinated risk profile, the drafters submitted a scenario under which the private partner will successfully transfer these risks to the States involved. Under this scenario, a segment of the future Illiana Corridor contract will include contractual indemnification payments, from IDOT and the Indiana highway department, to supplement toll collections and ensure that the private partner’s interests are made whole. Under the bi-state agreement scenario, these payments, which would be made from Illinois’s cash-starved Road Fund, could total between $249 million and $707 million for the first 20 years of the Corridor’s revenue operations. The median estimate of this segment of Illinois’ future liabilities is estimated to be $410 million. Under this combined scenario and estimate, Illinois motorists and taxpayers would eventually pay at least $660 million to build and operate the Illiana Corridor for its first 20 years of operation – plus to cost, to each motorist, of the tolls to use the highway. Although the Quinn administration has signed the bi-state agreement and supports construction of the Corridor, observers continue to ask questions about whether this would be a good deal for Illinois taxpayers and motorists. In an analysis published on Wednesday, May 7, columnist Greg Hinz of Crain’s Chicago Business asks questions about the Corridor. Resolution urges Congress to update federal disaster declaration process. The Illinois General Assembly adopted House Resolution 922 on Friday, calling on Congress to update the federal disaster declaration process, following FEMA’s recent denial of assistance to local governments in communities hard hit by the November 17 tornadoes. The “Week in Review” is available by email! Sign up today to keep track of major events and trends as the Illinois General Assembly deals with the final weeks of the 2014 spring session. 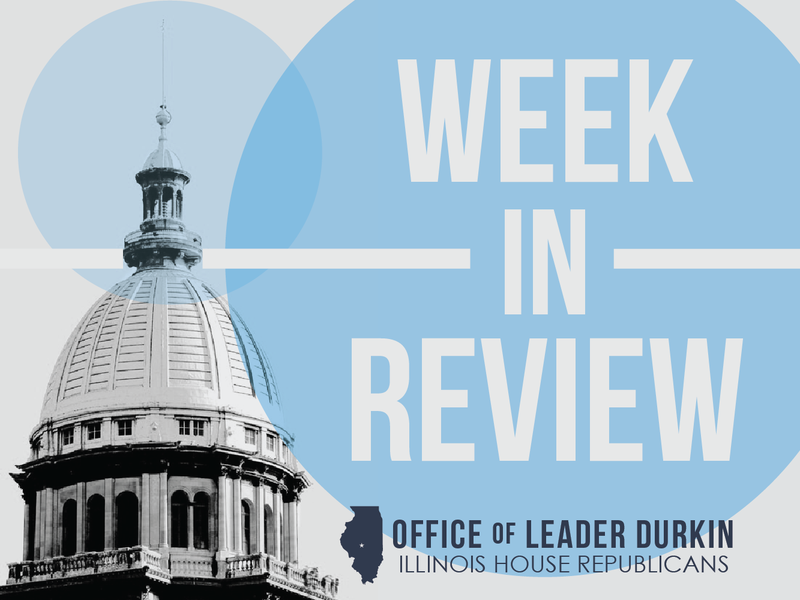 Week in Review subscribers get a first-hand look at the challenges facing lawmakers in Springfield and what our leadership team and Caucus members are doing about these challenges.